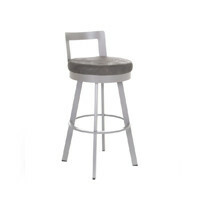 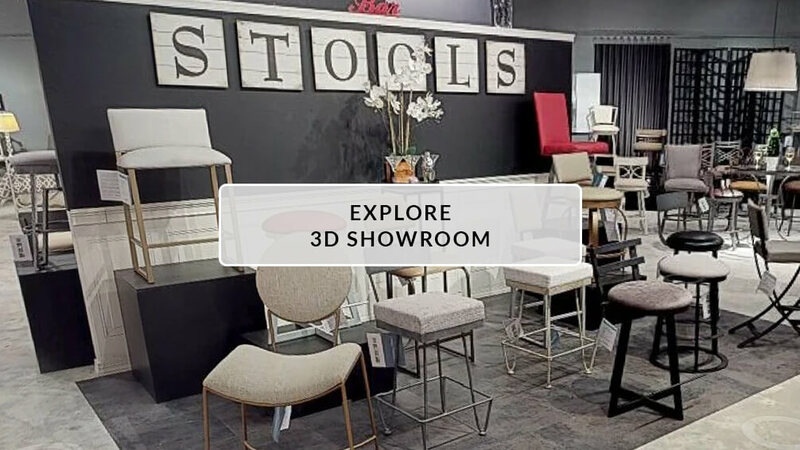 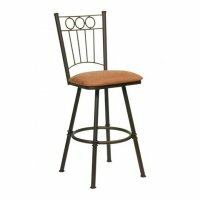 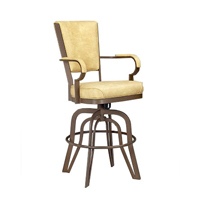 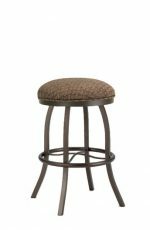 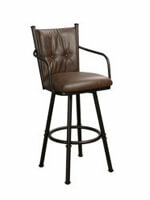 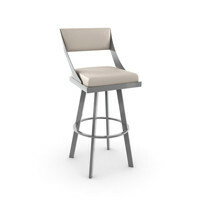 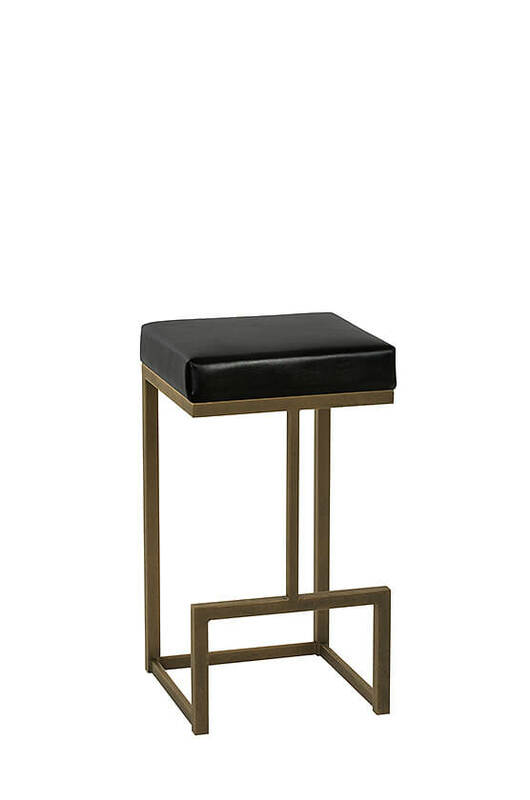 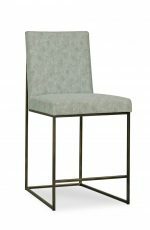 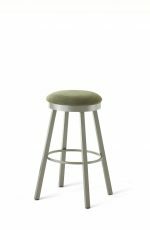 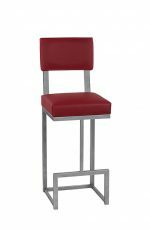 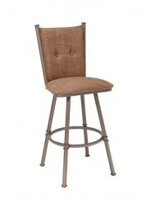 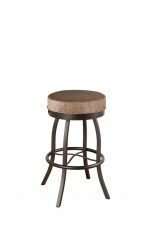 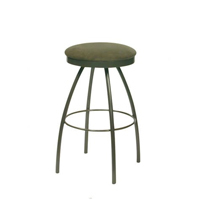 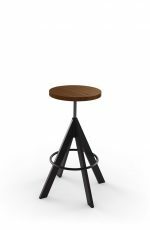 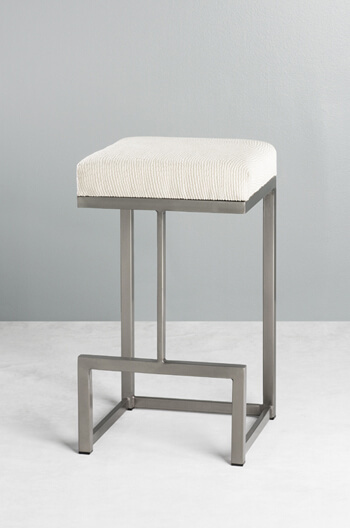 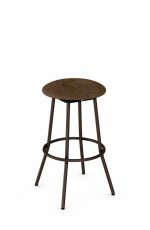 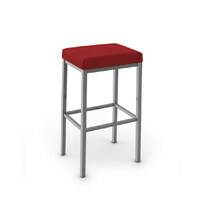 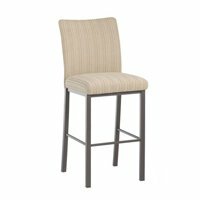 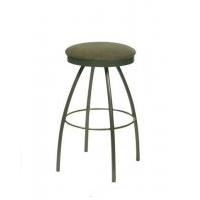 The Hugo iron bar stool brings together quality craftsmanship and simple, high-quality design that is both utilitarian and unique. 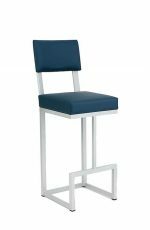 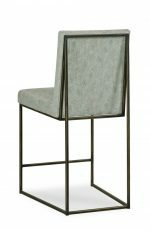 The unconventional leg placement makes the seat appear to almost float, while angular lines and low cross-braces on the floor keep things light, simple, and sturdy. 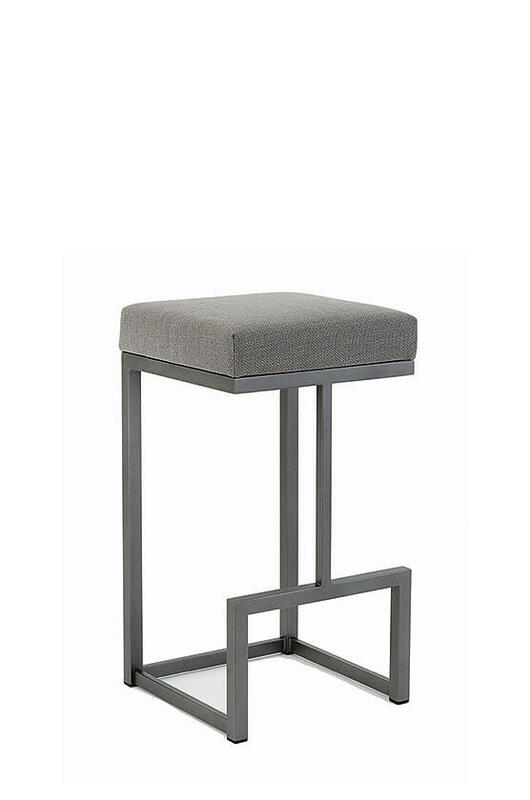 The square padded seat guarantees comfort as well as trendy style.